Nepal lies along the Himalayan Mountains, which is the fault line between the India and Eurasia tectonic plates. This causes Nepal to be susceptible to lots of seismic activity. 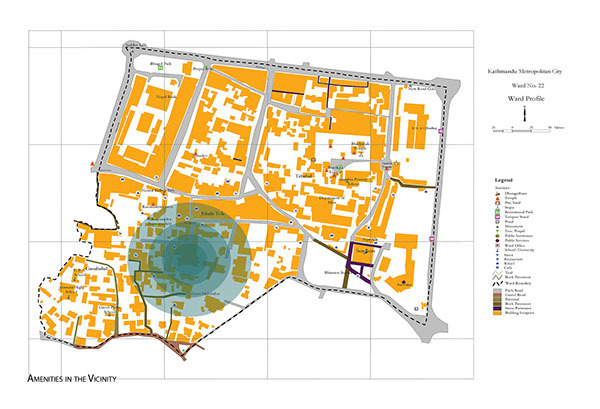 Therefore, it is necessary to design a structure that is resilient and will keep the inhabitants safe. Along with earthquakes, the Nepalese people also face landslides. These landslides occur because of the deforestation of the Nepal countryside. This causes an influx of people into cities to escape this hazard. With this increase in city dwellers, more housing is necessary, but the lack of wood for construction is a problem. The Nepalese traditionally built seismic safe houses using wood, but are now faced with using concrete and steel. The steel is not readily available, and buildings constructed solely of concrete do not withstand seismic activity. This is why using local materials, such as bamboo, is important for construction and the economy. The structure is made of bamboo, a flexible material good for seismic areas. The bamboo is made into laminated panels, which through biscuit joints and column connections, are able to move on their own when seismic waves travel through the building, allowing for both vertical and horizontal movement. 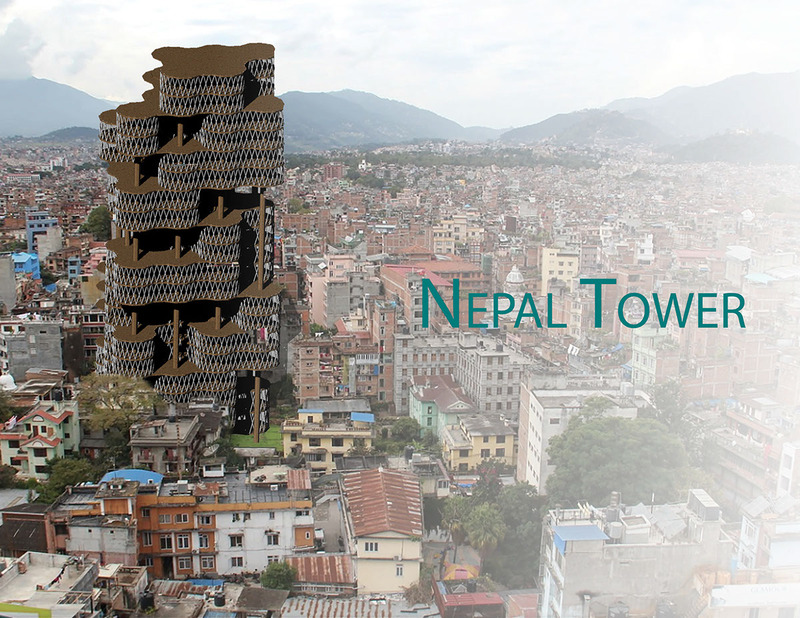 The upper floors contain apartments to address the needs of the overpopulated city of Kathmandu. 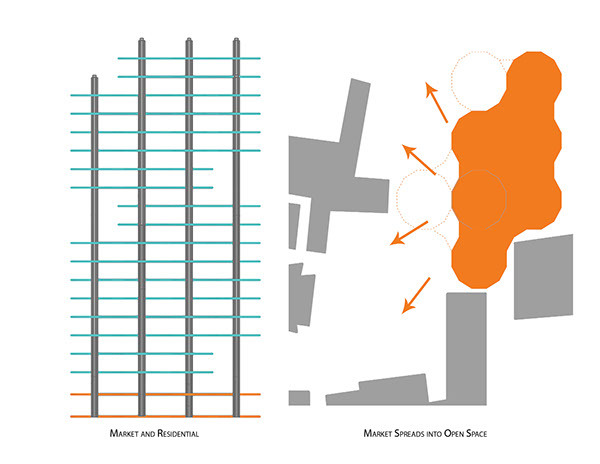 The bottom floors are public and create a market space allowing the building to engage the surrounding community. The air of Nepal is filled with smog that is generated from old busses’ exhaust, open engine trucks, and other vehicular exhaust. The haze over the city is visible and palpable. When visiting the hospitals, one sees many sick people with breathing problems. Creating a building skin that will purify the air is important. Since titanium dioxide has the ability to turn harmful pollutants into water and carbon dioxide, dipping the bamboo on the outer skin of the building panels into titanium dioxide can make the air entering the building cleaner and safer for the inhabitants. This use of textile principles will help the tower withstand an earthquake. There were several studies conducted on the best way to weave a skin to create an aesthetic and useful skin. 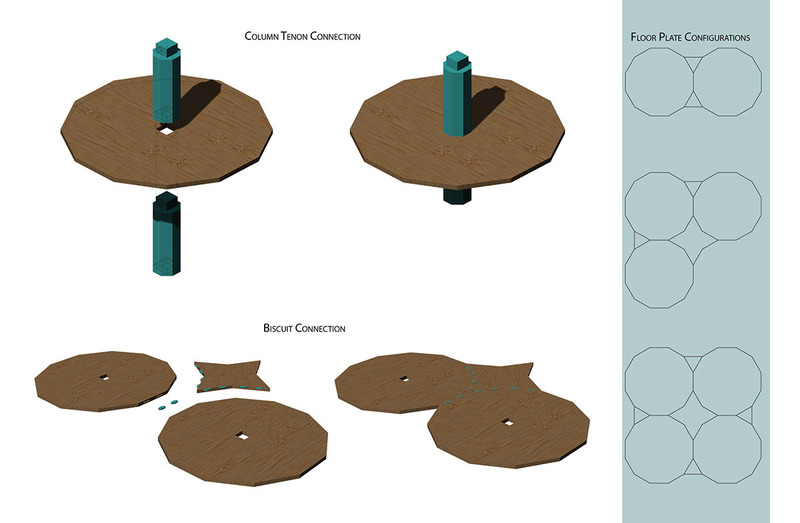 Project designed for the Evolo Skyscraper competition. Located in Nepal to address the needs for housing, new building materials, and safety during an earthquake. Explores weaving as a skin, Lamboo as a material, and Biscuit connections.